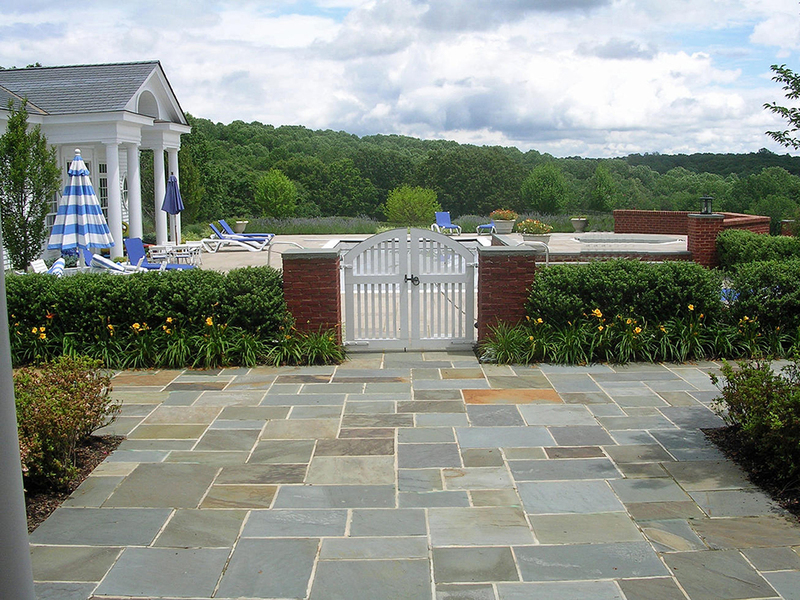 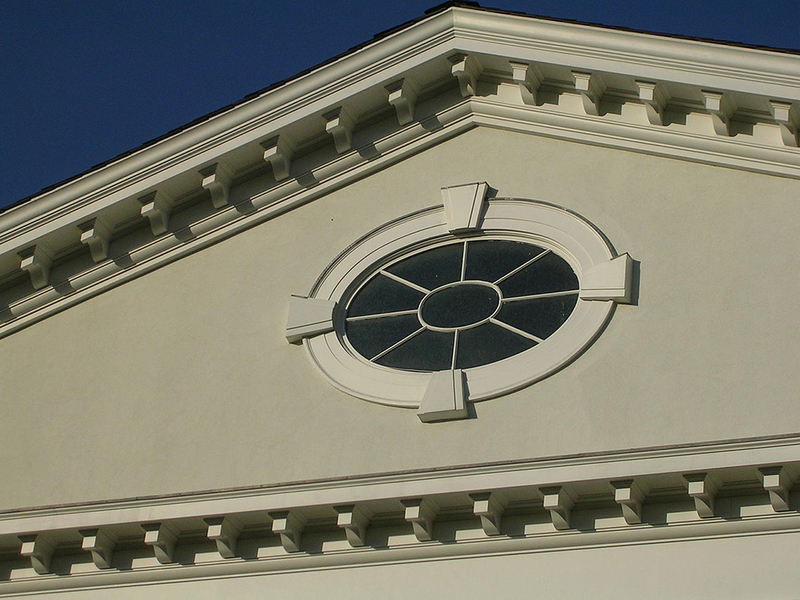 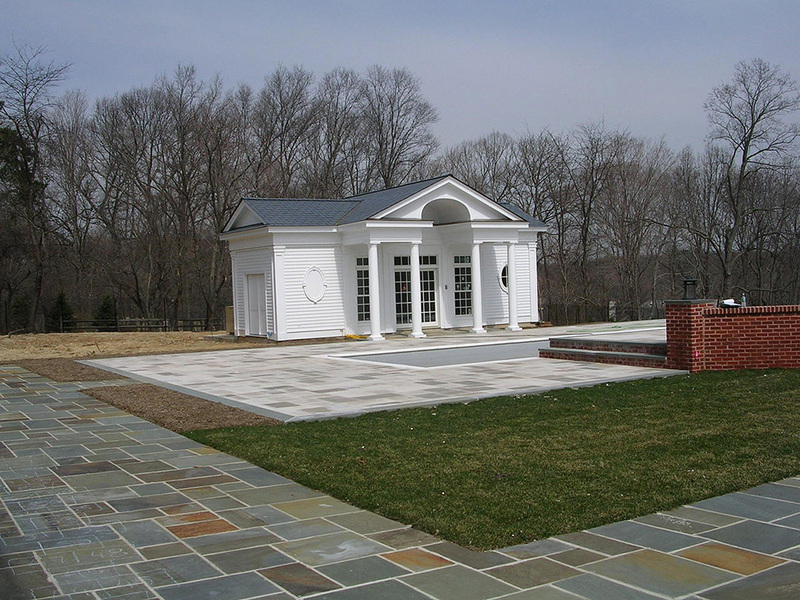 This ten acre Bernardsville Estate needed a landscape that accentuated the Greek Revival style of the home. 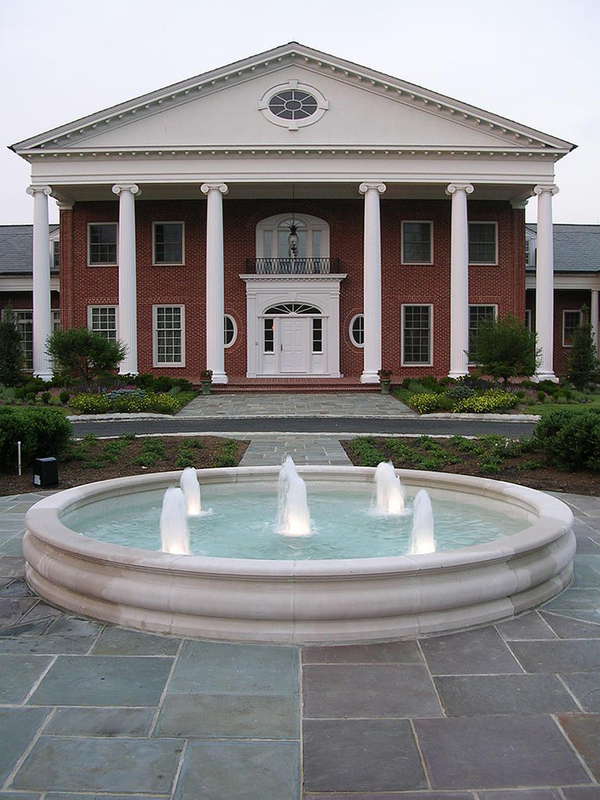 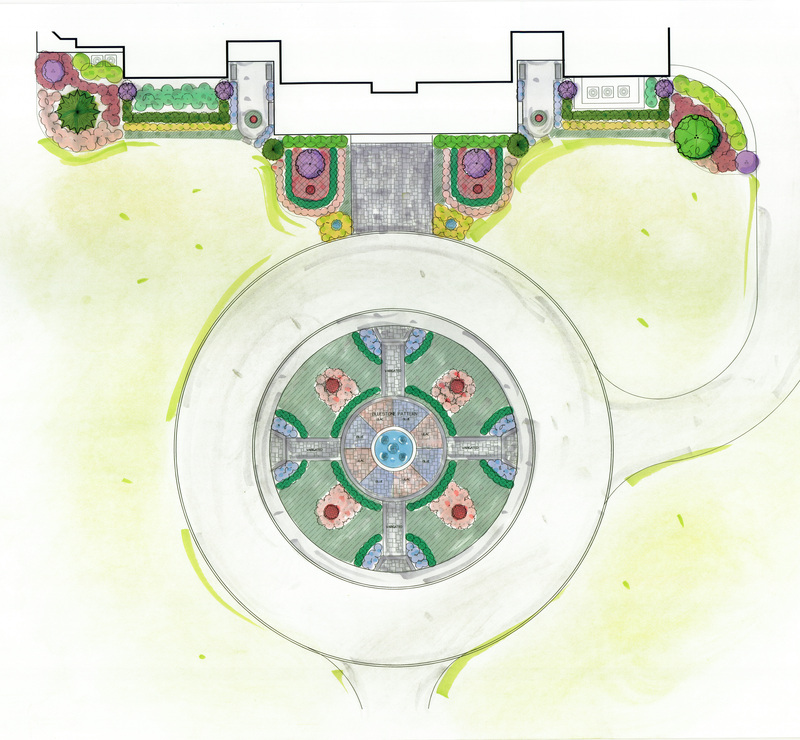 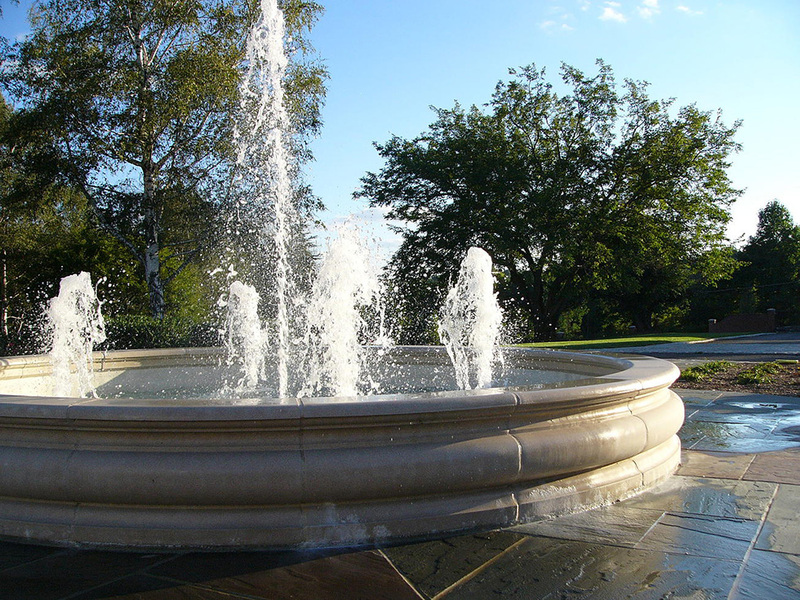 The architecture of the front entrance oval window above the door was mimiced in the front fountain and mixture of different colors of bluestone around fountain. 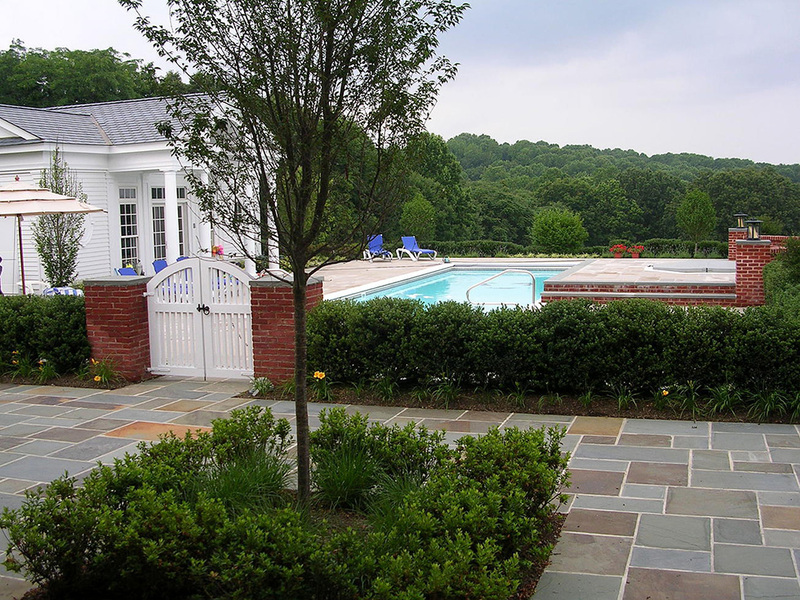 The back planting around the pool incorporated a living hedge as opposed to having a fence around the pool. 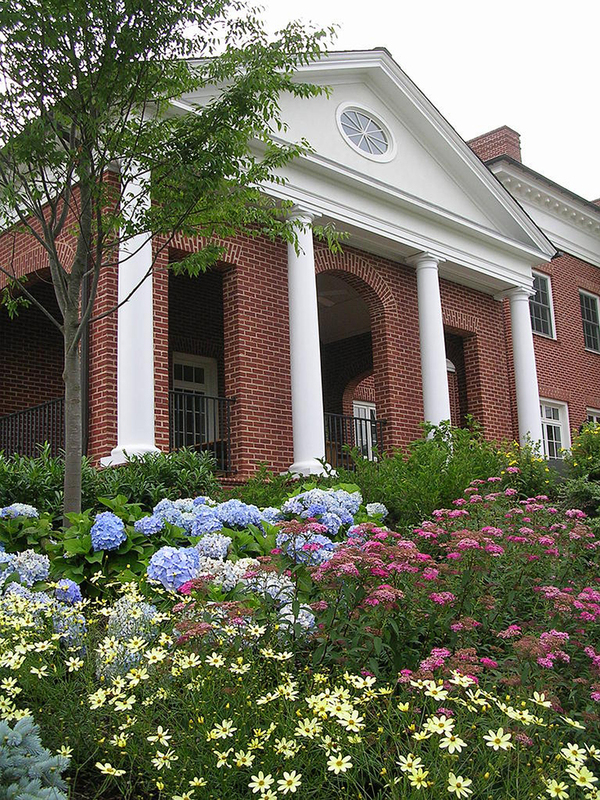 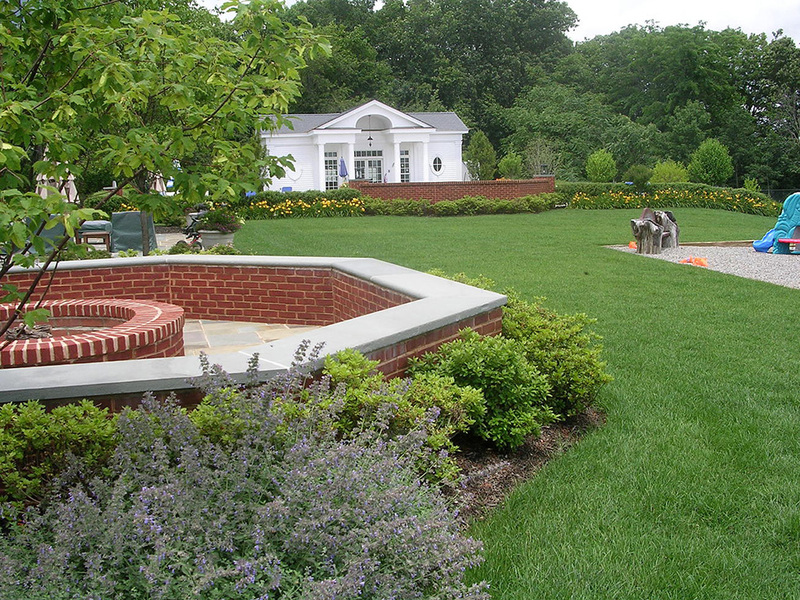 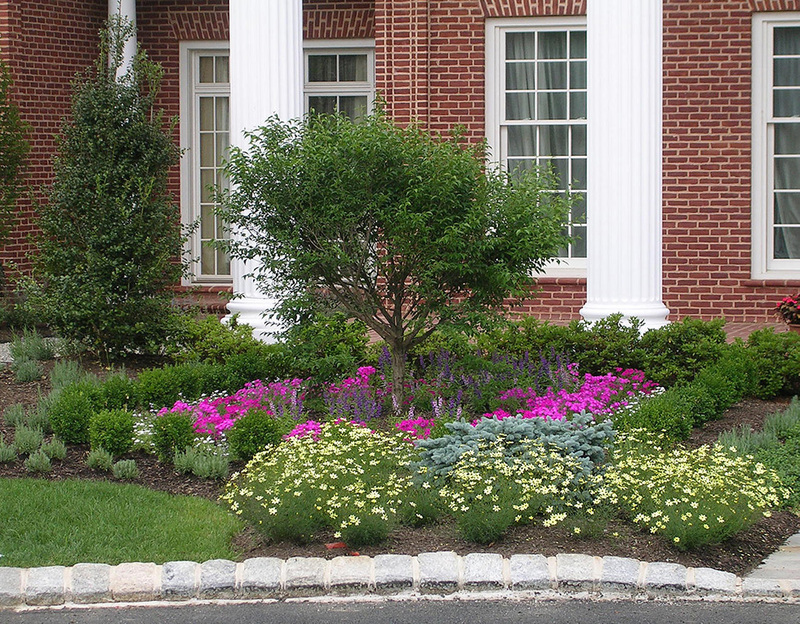 The mixture of formal plantings and masses of perenials adds interest to the landscape year round.